As part of RUBIS:QI, the West of England AHSN has been selected by the Health Foundation to provide technical Quality Improvement support to their prestigious flagship Scaling Up programme. RUBIS:QI is a brand new collaboration between the West of England AHSN, Northumbria Healthcare and NHS Improvement, created to support the adoption and spread of innovation and improvement. Together the three organisations will provide learning events and improvement coaching for the seven Scaling Up teams who plan to spread their work to a further 44 organisations. This exciting project marks the beginning of a new way of working for the West of England AHSN’s Academy, which aims to increase the knowledge of the science of adoption and spread. The £3.5 million Scaling Up Improvement programme aims to improve health care delivery and/or the way people manage their own care through the delivery of successful health care improvement interventions at scale. The seven project teams from across the UK will take health care ideas, interventions and approaches that have been tested and shown to improve care at a small scale and deliver them at a larger scale. Each round of the programme runs for two and a half years and each project is receiving up to £500,000 of funding to support the implementation and evaluation of the work. The selected projects will each be led by one organisation working in partnership with a wide range of organisations including acute hospitals, clinical commissioning groups, Royal Colleges, Academic Health Science Networks, Collaborations for Leadership in Applied Health Research and Care (CLAHRCs), universities, charities, national bodies and local government. The longer term aim is for projects to be sustained beyond the life of the original project and have wider adoption across the UK health service. 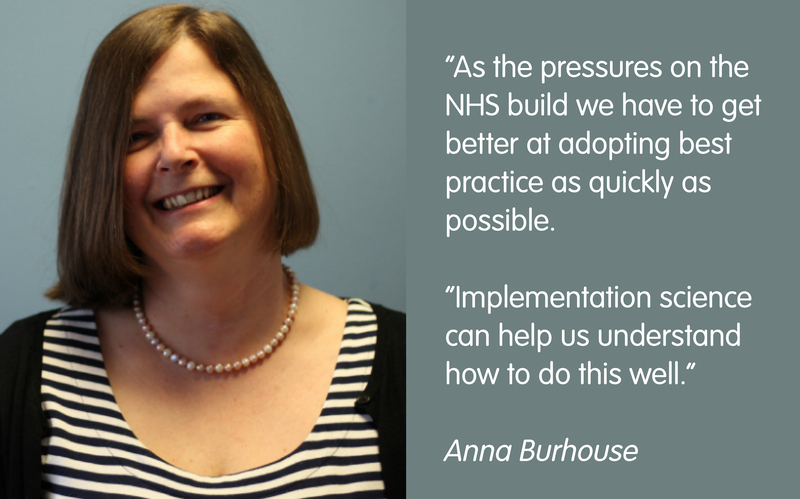 Anna Burhouse Director of Quality at the West of England AHSN said: “This is a wonderful opportunity to work with seven fantastic teams and support their efforts to share their amazing work across more NHS services. “As the pressures on the NHS build we have to get better at adopting best practice as quickly as possible and implementation science can help us understand how to do this well. The NHS is a hugely complex organisation and taking a ‘one size fits all’ approach rarely works. Local adaptations are often necessary to make change happen and to spread good ideas fast. To find out more about the Scaling Up programme, including information on each of the seven projects that we will be supporting, visit the Health Foundation website.